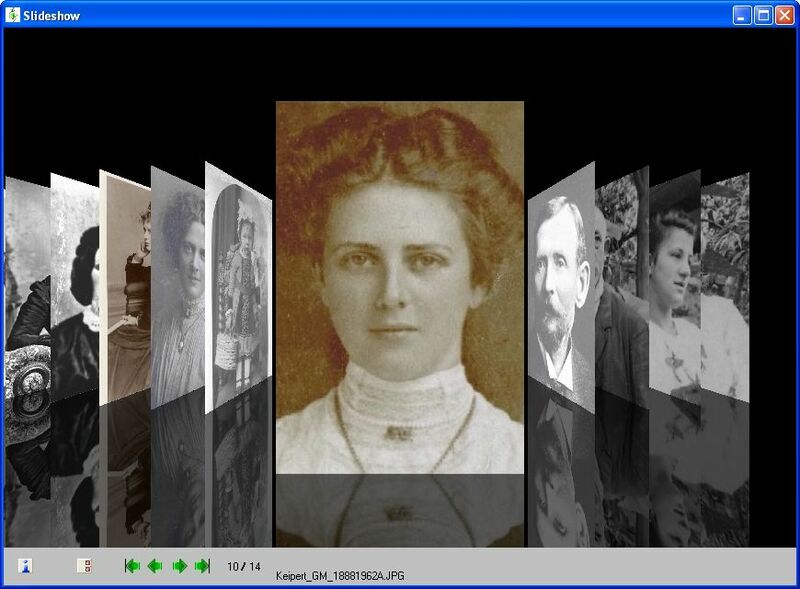 Family history program allowing you to store text and media for people. Charts such as Ancestor, Descendant and Hourglass. Graphics Pack for professional quality charts. You can store many attributes for each person as well as multiple media. Import GEDCOM data using the GEDCOM Import Wizard. Install on a portable drive. Four demo databases to see the program in action. Group more than one database so searches and some reports are against multiple databases. Link databases together. Timelines for America, Britain etc. View more than 30 video tutorials. Many tools such as Day Search, Day of Week, Roman Numerals, Regnal Dates, Relationship Calculator, Conversions Tool, Soundex Calculator, Daitch-Mokotoff Soundex Calculator, Date Calculator. Dates from 99,999 BC to 99,999 AD. Slideshow Wizard, Media Manager, History and Bookmarks. Query Manager, List Manager, Individual Copy, 'Match Merge' Facility, 'Find Duplicates' Facility, New individual 'Check for Duplicates', Spell Checking. Timelines Report, Individual Timeline Report, Statistical Charts such as Age Pyramid, Places by Period, Names in History. Also the standard genealogy reports to make your family tree. Top 4 Download periodically updates software information of GENP 5.00 full version from the publisher, but some information may be slightly out-of-date. Using warez version, crack, warez passwords, patches, serial numbers, registration codes, key generator, pirate key, keymaker or keygen for GENP 5.00 license key is illegal and prevent future development of GENP 5.00. Download links are directly from our mirrors or publisher's website, GENP 5.00 torrent files or shared files from free file sharing and free upload services, including Rapidshare, HellShare, HotFile, FileServe, MegaUpload, YouSendIt, SendSpace, DepositFiles, Letitbit, MailBigFile, DropSend, MediaMax, LeapFile, zUpload, MyOtherDrive, DivShare or MediaFire, are not allowed! Your computer will be at risk getting infected with spyware, adware, viruses, worms, trojan horses, dialers, etc while you are searching and browsing these illegal sites which distribute a so called keygen, key generator, pirate key, serial number, warez full version or crack for GENP 5.00 download. These infections might corrupt your computer installation or breach your privacy. A keygen or key generator might contain a trojan horse opening a backdoor on your computer. Hackers can use this backdoor to take control of your computer, copy data from your computer or to use your computer to distribute viruses and spam to other people.